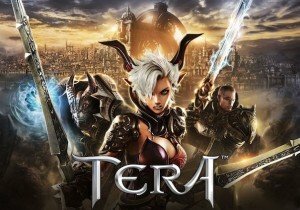 Following the launch of TERA on Console for console on April 3rd, 2018, En Masse has scheduled a calendar worth of updates coming for May. Every week in May promises to be new experiences and fun adventures for TERA. Starting on May 5th with the first Item Pass Delivery as well as a new five-player dungeon for level 65 characters. The Item Pass Delivery is DLC for consoles on the first Tuesday of each month, from May through October 2018. There will also be an extra item in October, equalling seven cosmetics. Though the items are a surprise, there will be two mounts, two costumes, one pet, one weapon skin, and one bonus mystery item. The following week, players will be able to take part in the level 65 battleground, Corsairs’ Stronghold, where two teams of 20 will alternate between protecting a keep and attacking it in a best-of-three siege mode.